I have an announcement to make.... I am opening up a coaching program just for Flight Attendants. 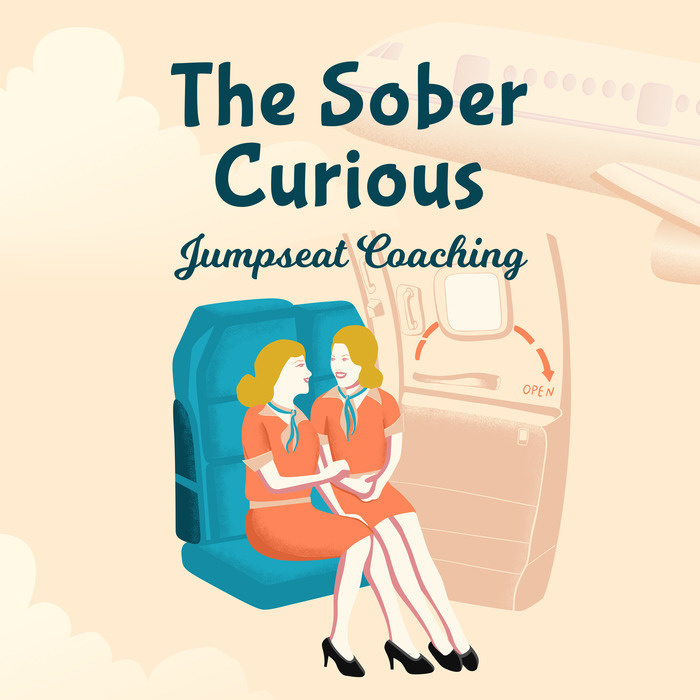 It’s a monthly membership style program called Jumpseat Coaching....Life Coaching to help flight attendants actively navigate their life towards their desires. I’ve been thinking about this for a while now. I super excited. Trying on different names and tormented on what the name should be. I’m going to explain to you why the name and the concept. Let’s talk about why I chose this name...isn’t it what we do as we sit on the Jumpseat dump out our thoughts and struggles in the moments to the person next to us. It feels almost like sitting in the seat brings out this desire to dump out our thoughts about a challenge or struggle we are experiencing. Coaching, specifically with a Life Coach, is mind training. Simply put, a life coach is someone who can help you get perspective on your life and your mind. This is not a substitute for a therapist who will treat acute mental disorders and diseases. Let’s talk about pain for a minute because I believe there are two different kinds of pain. Clean pain and dirty pain. The clean pain is really useful and necessary. It’s part of our human experience. Clean pain is grief, clean pain is sadness or disappointment. Clean pain is heartache and mourning with those who mourn. Comforting those who need comfort. Clean pain is what makes us human. It helps us connect. It helps us heal from the painful experience. This can include all kinds of emotions. This is the anger, the hurt or sadness when somebody wrongs us or someone we love. This is the anger and grief, denial we feel when we loose someone. Clean pain is what I felt when I my first marriage ended. When I had to say good bye to the dreams I had for this relationship. When I had to tell my kids their dad and I where no longer going to be living together. Crying and morning as a let go of that part of my life. This was all clean pain. Dirty pain keeps us stuck. Clean pain on the other hand, helps us move forward where as dirty pain keeps us stuck. Or even causes us to go backwards. Dirty pain is what makes us bitter. Clean pain is what makes us better. Dirty pain is what immediately my brain tried to offer me after I cried and got over the shock of my ex-husband telling me he no longer wanted to be married. Dirty pain was all the drama about whether or not this was fair in life, and how could he do something so mean and cruel to me. Gossips and the drama... not useful or necessary, yet totally available to my brain if I chose to engage in it. The dirty pain is the kind I want to help you work on. But first.....we need to allow it. Yes, even dirty pain I want to invite you to experience. Let’s learn to not escape it right away.....together, let’s learn to feel it instead of buffer from it with things like, food, alcohol, bienge watching TV, scrolling social media, etc. Be willing to feel it. Once you notice you are feeling dirty pain, this is where your detective skills come into play. This is the ideal place to start asking questions and observe. Instead of escaping it with some sort of numbing out activity, question it. Dirty pain often feels so useful, honest and necessary. But there is always another option. I have found the best way to find a better option is to question all of it. Be willing to question it. Even the part that everybody else sees, feelings, things about it the same way you see, feel and think about it. Just because there is a consensus, it does not mean the thoughts are useful or the only option. Another option for me was.... We did have so many great experiences together. I’m a Mom to 2 awesome kids and I’m a different person because of my time in this relationship. I’ve gained so much my time here and now it is all supposed to end because this part of my life is complete. I want to leave this part of my life with gratitude and peace. It’s scary yeah. It’s heartbreaking...yes. But I don’t want to leave that part of my life feeling bitter and resentful. I want to leave it with closure with peace. This is always an option no matter what. As you continue to listen to the Podcast, take action on the things you learn here, then you discover how to think and pay attention. You will know you have options and choices on how you think about situations. You get to decide how you will think about the situation. How you will see it. How you will feel about it. It will actually be within your power to experience a crowded, hot, broken airplane filled with frustrated, angry passengers as sacred and meaningful. You’ll get to a state where you consciously decide what has meaning and what does not. Instead of automatically reacting. That is true freedom. 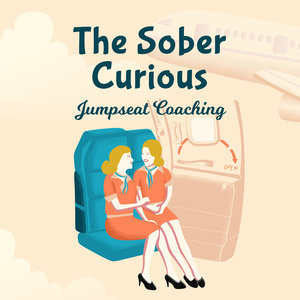 Thank you so much for coming on this journey with me for The Sober Curious and I hope you will continue with me for Jumpseat Coaching.